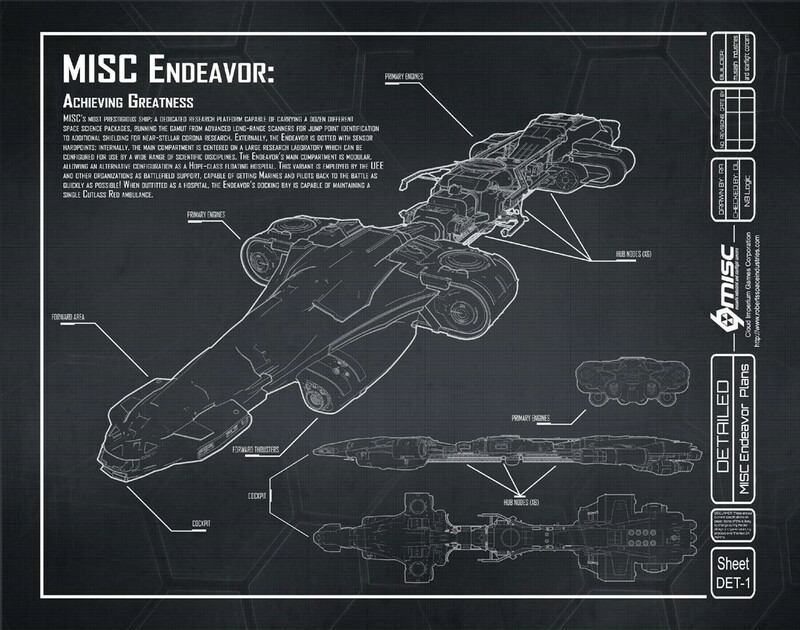 Welcome to the inaugural entry in our new series - The Neverships of Star Citizen! Today we explore the MISC Endeavor. 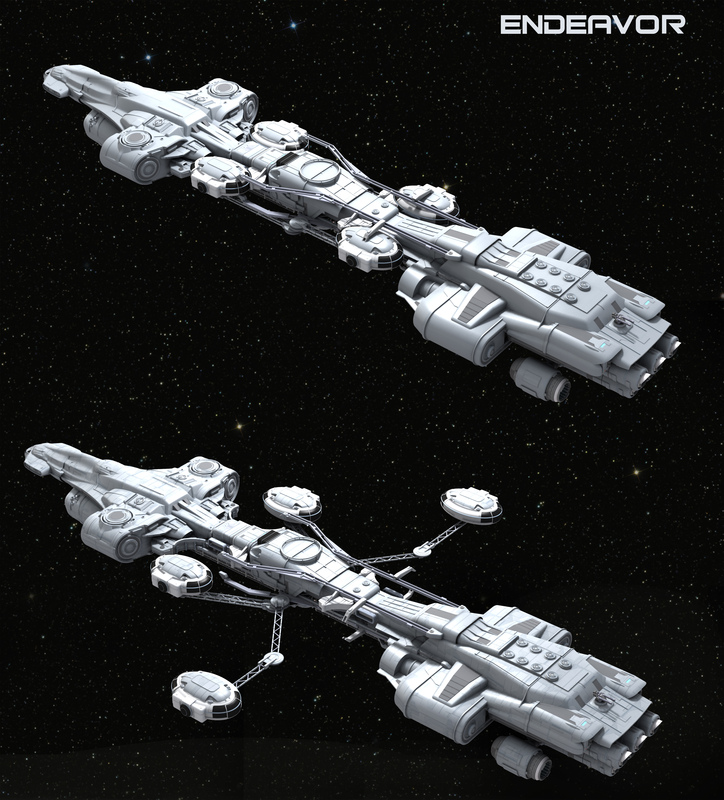 If you follow Star Citizen then you are quite used to ships changing drastically between their concept phase and actual implementation. Usually this works to our benefit as ships tend to grow as they are worked on and usually come out the other side with more features than the original concept. The Starfarer might be the best example, or the Idris. Both grew monumentally between first concept and final implementation. 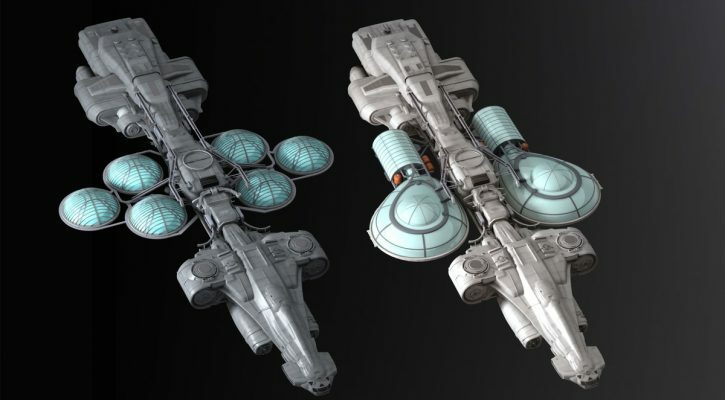 When we get a concept ship sale, the art that we’re given that isn’t the first or last version by any stretch. We can watch what the ship turns into as CIG is pretty open about the changes being made as they progress through the pipeline. However, everything from a full redesign of the concept to little tweaks BEFORE it’s first shown off are not something most people are familiar with. 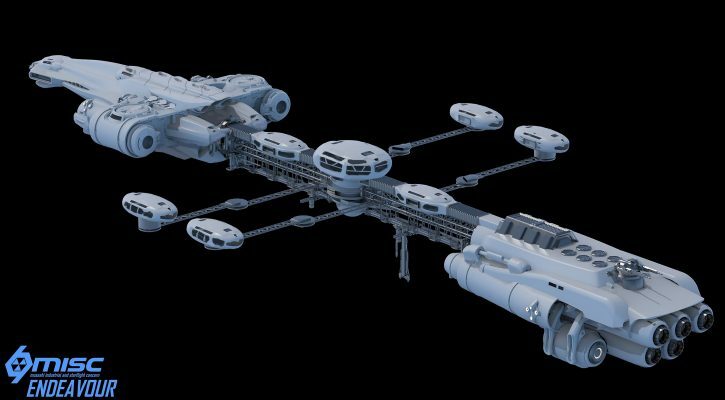 This 2001-esque nightmare looks nothing like the Endeavor of today, but you can see a lot of similar design elements that took it from this… thing to what it is now. Let's start in the rear of the ship with one of the most important elements: engines. This old concept didn’t have the linear engine block of today's Endeavor, instead it had articulating engine blocks in a ring pattern. 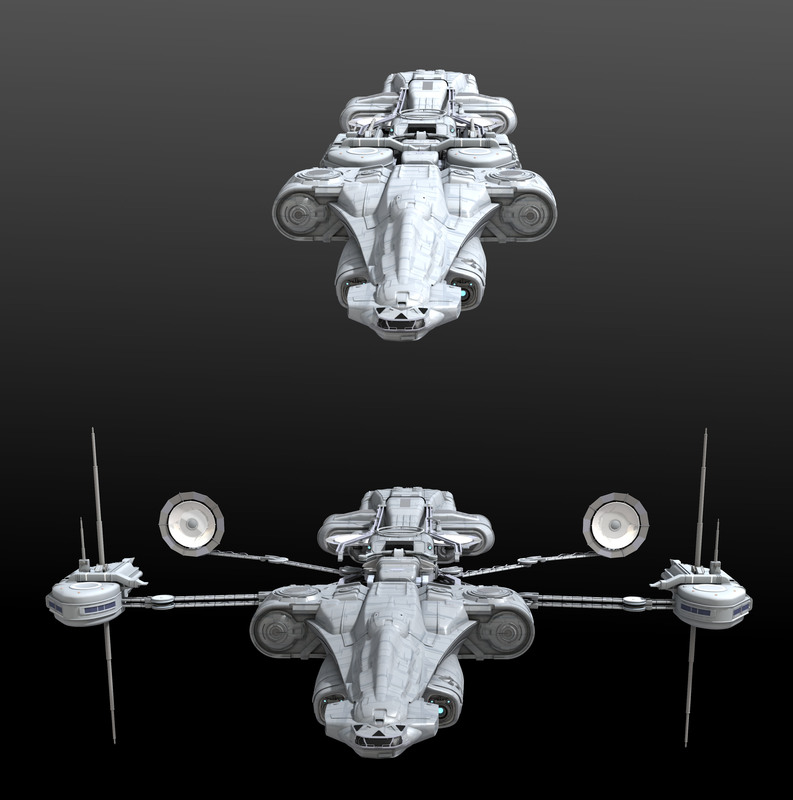 If you thought this design looked somewhat familiar you would be right because a slightly modified version of this appears in everyone’s favorite massive cargo hauler: the Hull-E. The Hull-E and the Endeavor don’t just share MISC as the manufacturer but the concept sales were actually only 5 months apart, with the Hull concept sale on the 25th of April 2015 and the Endeavor sale in September of that same year. While the engines do differ slightly it is cool to see the similarities in the design. 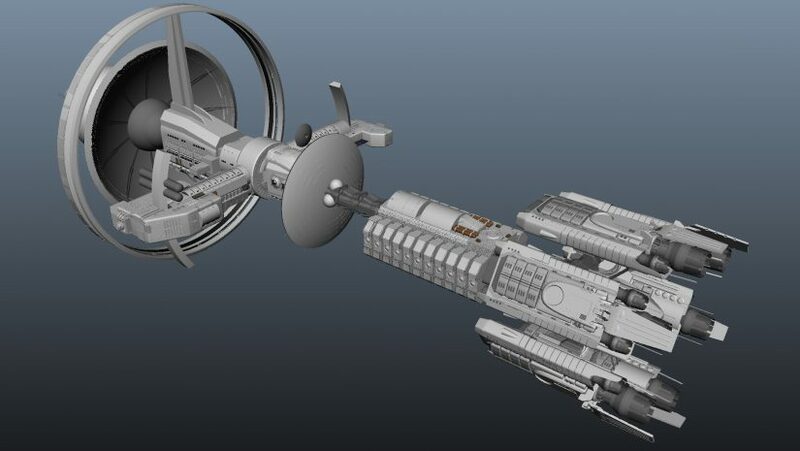 Who knows why CIG scrapped the articulating arms on the Endeavor. 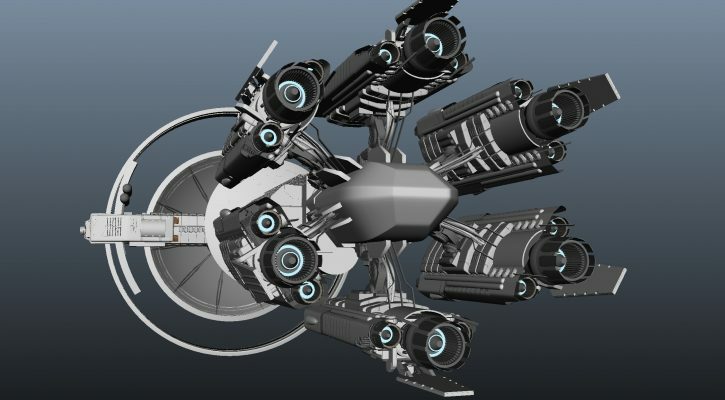 It’s possible they simply thought that the flexibility in the engines would be more valuable in a cargo hauler with a lot of mass to push around, maybe they simply thought it would be too visually similar. Looking further up the ship we see the heart of the vessel. No matter the concept, the Endeavor was always intended to be a scientific research platform. You can start to see radar dishes and telescopes... even if they do seem to be directly blocked by the rest of the ship. This middle section is where the most iterations on the Endeavor concept take place. I am pretty sure they reached the same conclusion looking at this middle section - the thing is just too cluttered to be effective. So what is the solution to the space issue? Platforms! There are tons of different variations of the modular Endeavor platforms. 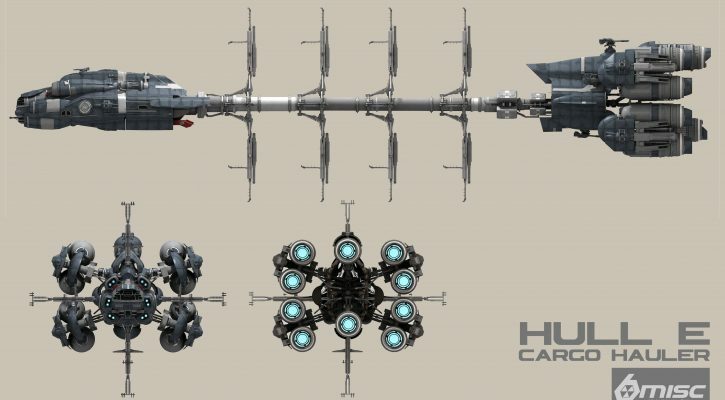 The majority of these all appear to be variants of the same idea, modular pods on a spindle that would expand out from the ship. As they progressed they started solving issues with the original design. Hey! Those dishes aren't blocked anymore, progress! 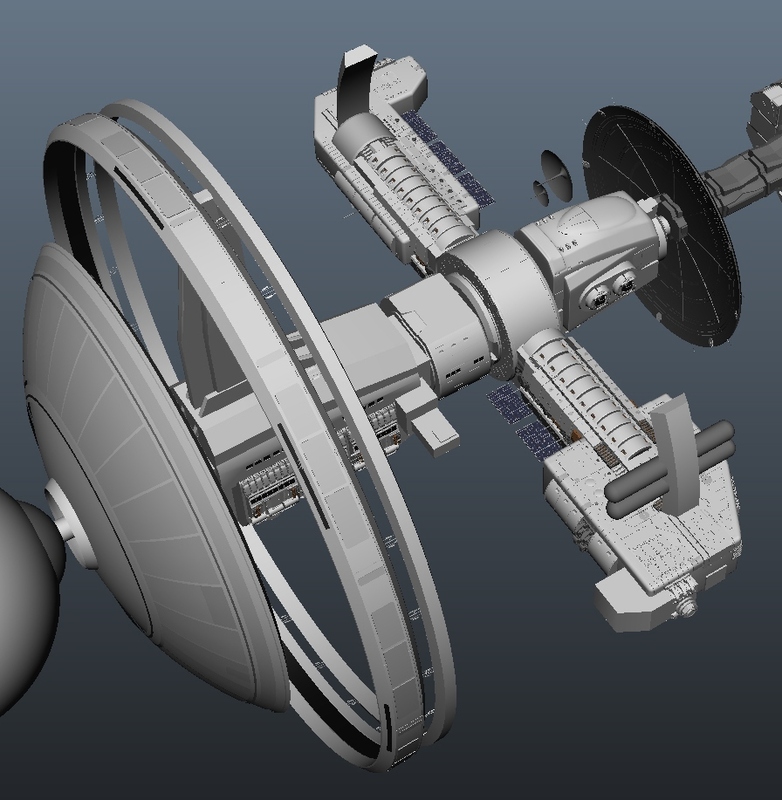 Eventually the whole pod idea started going away but the modularity did not. Experiments with something a little more form fitting started cropping up and we are left with something very similar to the final version today. 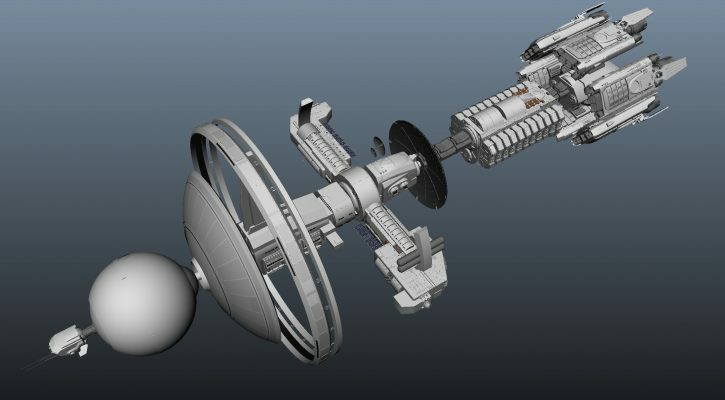 The move away from spindle pods to modular components slotting in along the frame of the ship was a big change. The Endeavor went from something that could satisfy any form of scientific itch the crew had, to being something a little more focused that would instead be outfitted with a specific goal in mind. This step is what really turned the concept ship into what it is today. The Endeavor is a truly intriguing ship that offers a variety of interesting twists on MMO gameplay - research, exploration, development, observation, farming, health care, etc. It’s been refined from a very open-ended idea to a very focused yet customizable vessel. The evolution of the Endeavor is somewhat unique. 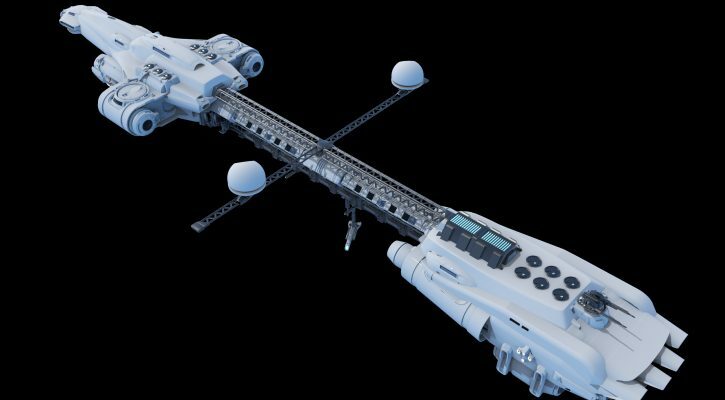 Some ships fundamentally change as they are concepted but the Endeavor has always remained true to its core idea: Science. (and drugs) But seriously - Science!